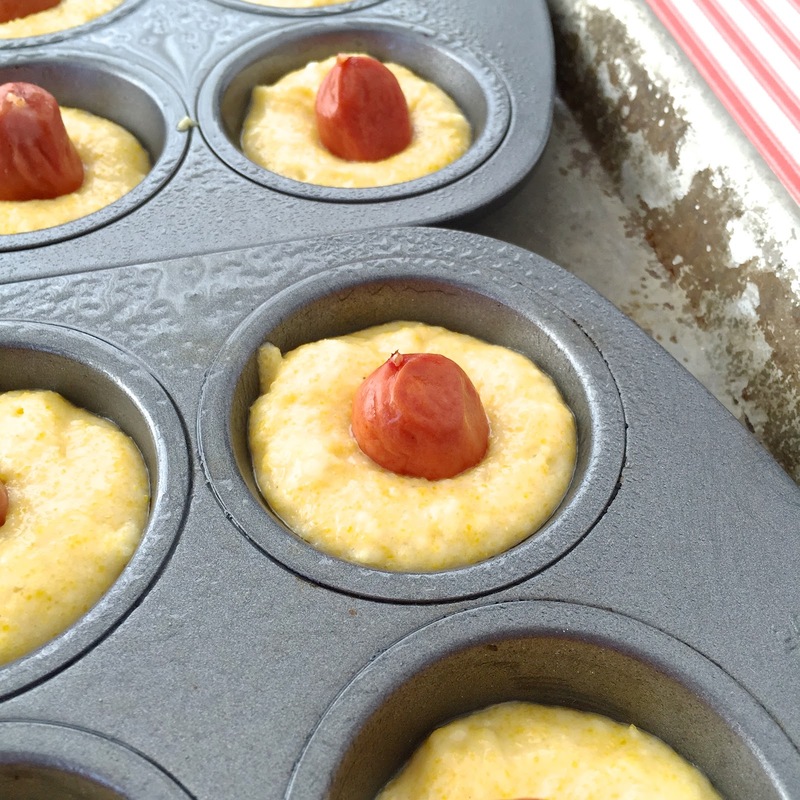 Corn Dog Bites! 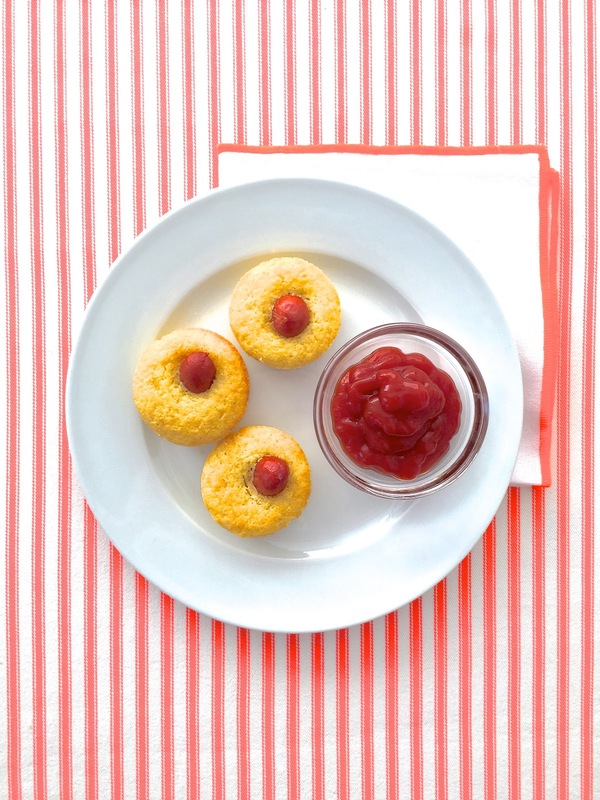 Delightful 2-Ingredient Recipe / Hey, EEP! I've only had one proper corn dog in my life. Not a fan. I like to see my hotdog before committing to a bite. Who knows what's hiding beneath that cornmeal crust! But I do love cornbread. And I extra-love hot dogs. 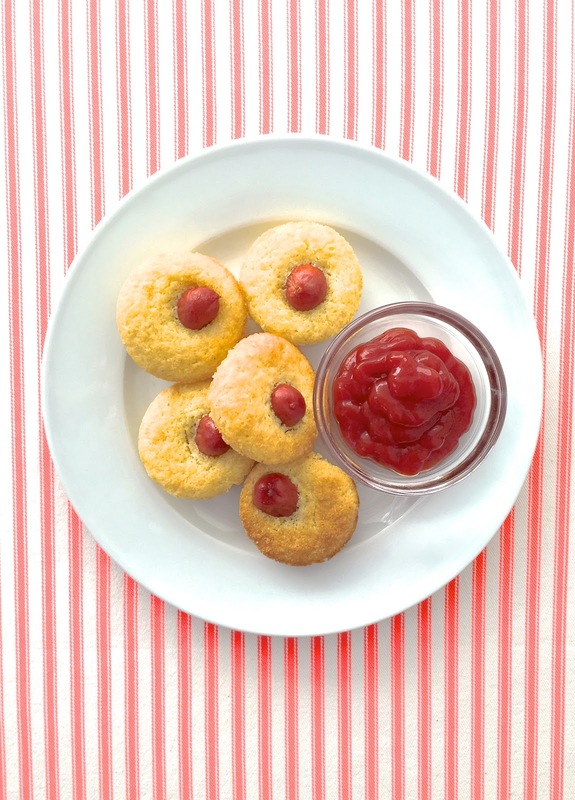 So I get my fix from these crazy 2-ingredient Corn Dog Bites. The secret is a shortcut ingredient I always have in my pantry: Jiffy cornbread mix. I use it to make cookies, waffles, corn pudding but heck! This may be my new favorite. It's the perfect snack for an impromptu weekend movie-marathon or a casual party. Bonus points for being even easier to make than pigs-in-a-blanket, which is hard to do! Another plus: These bites are baked not fried. Whether you're counting calories or not, at least it'll save your home from smelling like a snack bar. As usual, take a look at the short recipe video I posted on my YouTube channel! If you like what you see, please subscribe and let me know what you think in the comments. 1. Preheat the oven to 400˚F. Coat two mini muffin pans with nonstick cooking spray. 2. Prepare the cornbread mix as the label directs. Divide batter among the prepared muffin cups. Press 1 frankfurter into each cup. 3. Bake 10 to 15 minutes or until golden. Let cool 2 minutes in the pan; then run a small knife around each muffin and gently lift out. Serve warm with mustard and or ketchup.